NOTE: Mint on the Dot! will not be held at Mint Museum Randolph on Wednesday, March 20. Stop by during your visit at Mint Museum Uptown or Mint Museum Randolph for a 10-minute art chat in the Mint Museum Galleries. Mint on the Dot! art chats are offered every Wednesday evening and Saturday* afternoon. Look for the “Mint on the Dot!” signs on the gallery floor! 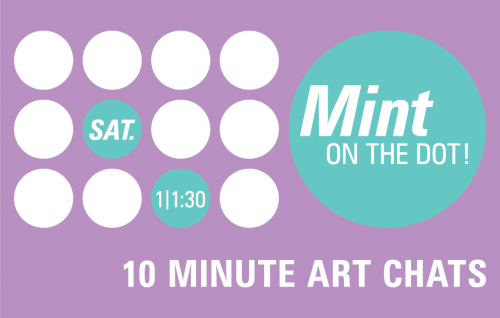 *Drop-in for a 10-minute art chat during Free Wednesday Evenings at the Mint! *Please note, Saturday talks are subject to volunteer availability.